I’m way behind on this thread. Wow! What a beauty JMC, you did good, congrats! 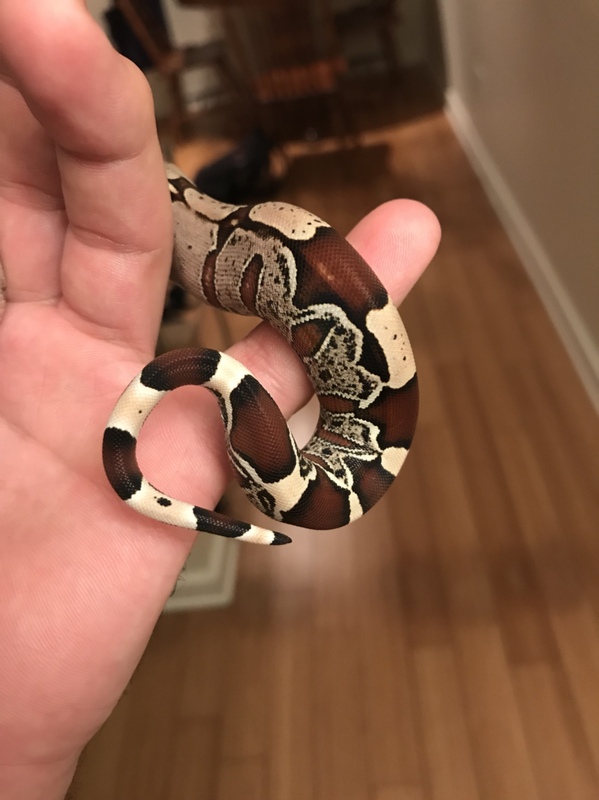 Any update on this boy?! Lol no doubt. You have really had one heck of a ride with the retic duo. Honestly, I'm rather surprised you hung in this long, especially with 2 terrors. Caesar seems to be going through his 'needy' phase again since he just shed this morning. First this morning, he wanted petting and sat on my arm and on my shoulder. Now tonight, he was pacing the front so i opened a door and he came over and laid there for more petting. Now im over on the computer and he is sitting there with his head on the litter dam lol. Going to try a 1.5lb rabbit sunday for him when i go pick up my order. Last edited by Sauzo; 09-08-2018 at 02:01 AM. 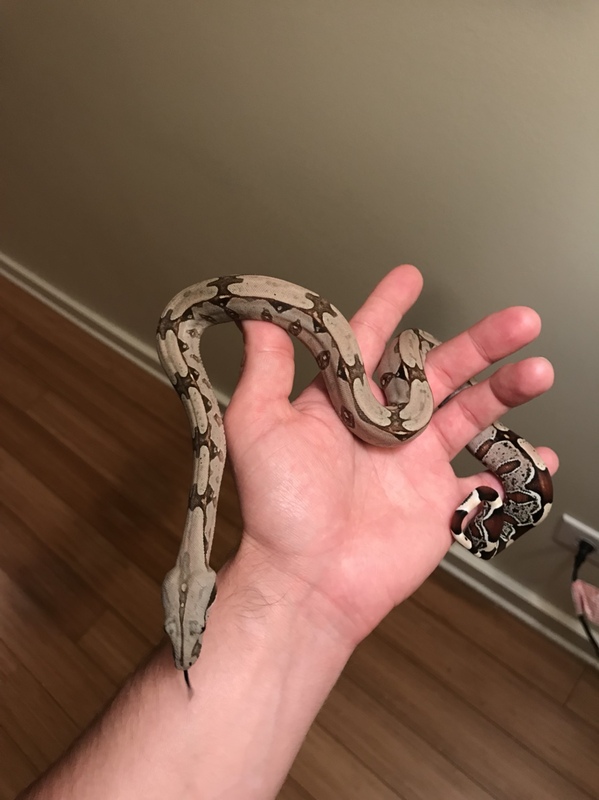 I think I'm finally understanding what pushing is with this Olive Python. I have no idea how to keep him satiated. He is hungry and cruising the day after a meal. I cannot get over the tail of that snake. Share more photos cuz it's never enough. 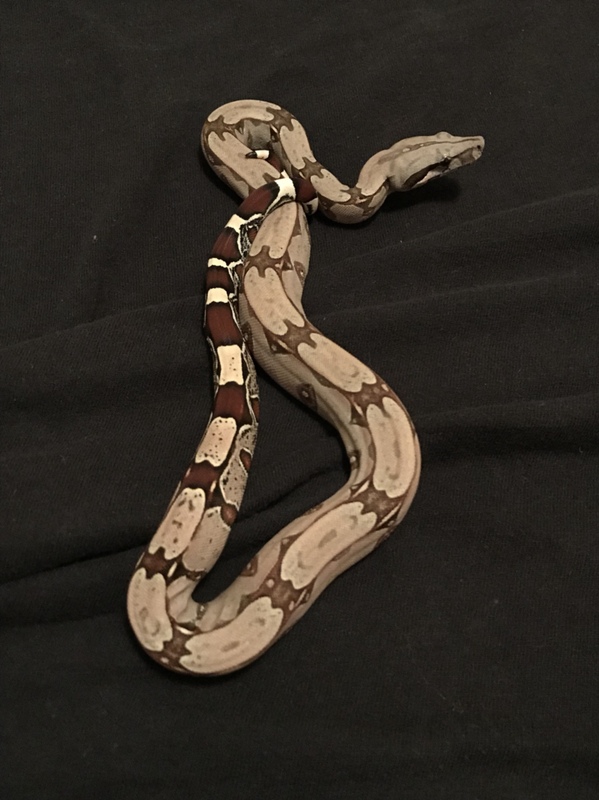 I pretty give my boa the nod when it comes to handling, impressive, but not over done size, and laid back demeanor in most cases. You will have no problems with that one!